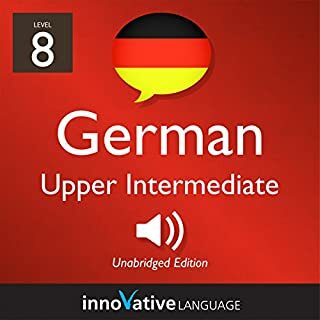 Welcome to Upper Beginner German, Volume 1! You're on your way to Germany! 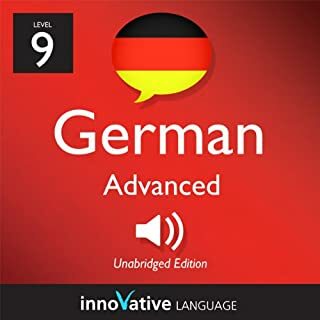 Master the basics of German conversation the fun, fast and easy way! 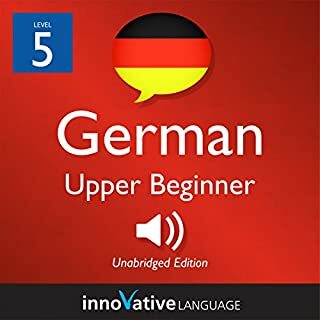 Start speaking German in minutes, and learn key vocabulary, phrases, and grammar in just minutes more with Upper Beginner German. Our native German hosts break down all the sentences, grammar, and more in a simple, easily understandable way! 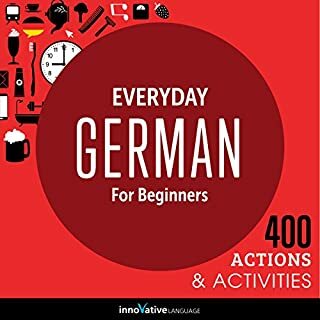 Effortlessly learn from a bi-lingual and bi-cultural host as they guide you through pitfalls and pleasures of German. 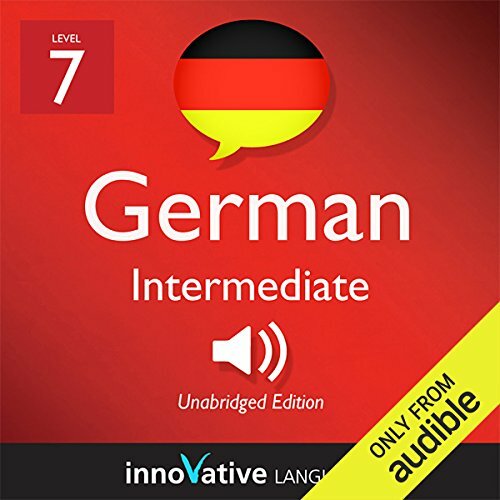 You see, unlike other audiobooks, we actually teach German language and culture. With each lesson, you will master a target phrase and key vocabulary. This is a complete lesson taught by a professional, bi-lingual teacher! Listen to the preview now! surprise phrases and tips that will leave your guests wondering where you learned them. 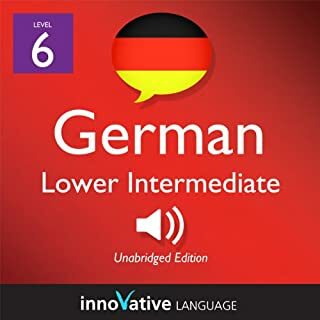 This audiobook comes with downloadable lesson notes totalling over 100+ pages. 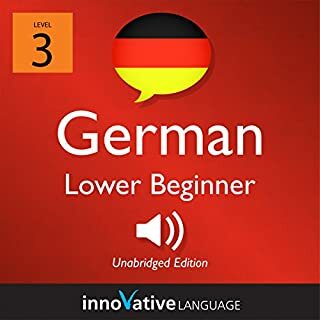 Start speaking German now! Several explanations in english could be dropped, since the best way to learn any language is being exposed as much as possible to that language. This is especially important if one considers that the listener will hear the program several times, so that the parts in english take a lot of time in the end. The dialogues in german, on the other hand, are coherent and have an excellent balance between things that you likely know and things that you don't. Das Buch ist für hõren und lernen. The native English speaking guy, needs to speak English like he speaks German. He is inaudible for some English words but you figure out after listening 2 or 3 times.